The handshake, with its potential to transfer the flu virus, should be replaced with the safer and more contemporary "pound," says the dean of medicine at the University of Calgary. The handshake, with its potential to transfer the flu virus, should be replaced with the safer — and more contemporary — "pound," says the dean of medicine at the University of Calgary. 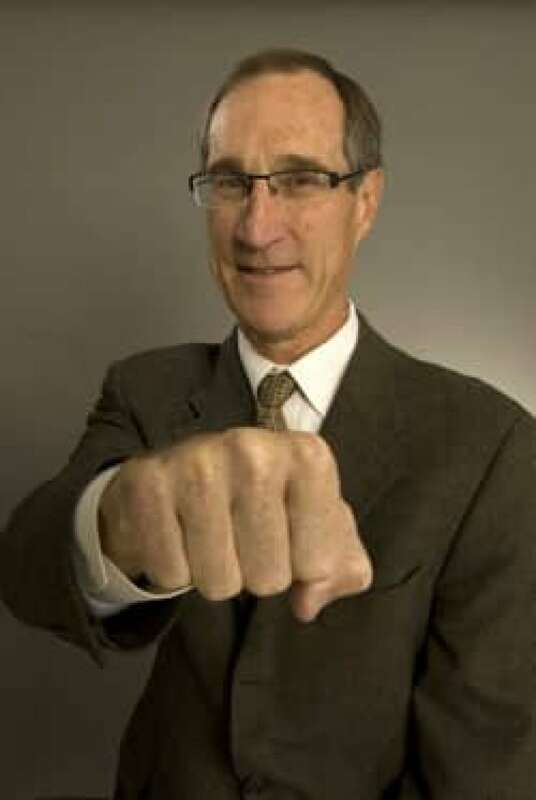 Instead of touching the surface of people's hands where germs lurk, the pound's brief contact of fists offers a more hygienic greeting that can prevent the spread of the flu, Dr. Tom Feasby said Wednesday. "It's a nice replacement of the handshake because you can't just refuse to shake someone's hand. It's rude and seems almost un-Canadian," he said. "This is a nice, intimate gesture: a gentle bump of the fist that replaces the handshake if you get used it." The pound, or fist bump, is a greeting that originated with American black youth in the 1960s and is commonly used among sports teams. 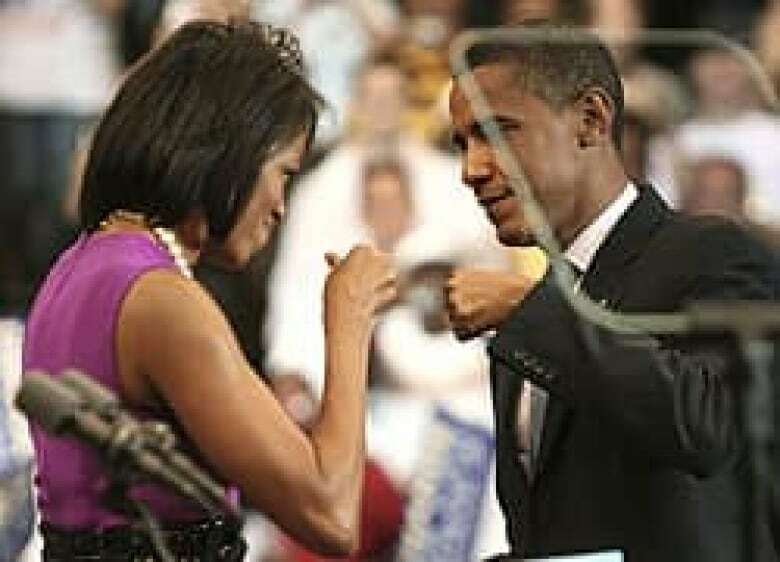 In one of the most famous pounds, U.S. President Barack Obama and his wife, Michelle, lightly tapped the front of their fists together in greeting during a televised campaign speech last year. Feasby said he's been refusing handshakes and offering a pound instead for the last six weeks. "After a few funny looks they usually get the idea and do it," Feasby said, adding he does have to explain why he's not shaking hands. "Young people find this easier than older people but we can all learn." The dean said Alberta's health minister, Ron Leipert, greeted him with a pound on Tuesday night. He said he also saw Calgary Mayor David Bronconnier and former Alberta premier Peter Lougheed using the pound at a function last week. But Ann Marsh, a business etiquette expert in Calgary, said there's no need to stop shaking hands as long as you take the proper steps. "I think we can still shake hands. Take your ... disinfectant with you, because it's beyond just shaking hands — it's the doorknob, it's the steering wheel, it's the telephone, it's the keyboard. The germ sources is huge out there," she said, pointing out that the traditional handshake greeting is part of daily professional life in North America. A poll this month by The Canadian Press-Harris Decima found that about one-third of Canadians say they're less inclined to shake hands because of the H1N1 virus. The vast majority surveyed also said they wouldn't be offended if someone refused to shake hands because of the flu. Just over 1,000 Canadians were surveyed between Oct. 8 and Oct. 12. The poll has a margin of error of 3.1 per cent, 19 times out of 20. YOUR VOICE: Is the fist bump the new handshake?